The Ratio Gauntlets are a set of steel gloves designed to provide maximum protection in combat without compromising maneuverability. Covering knuckles to the forearm, these gauntlets will help to keep you safe in battle. Each gauntlet protects the knuckles with a rigid, sculpted knuckle plate. 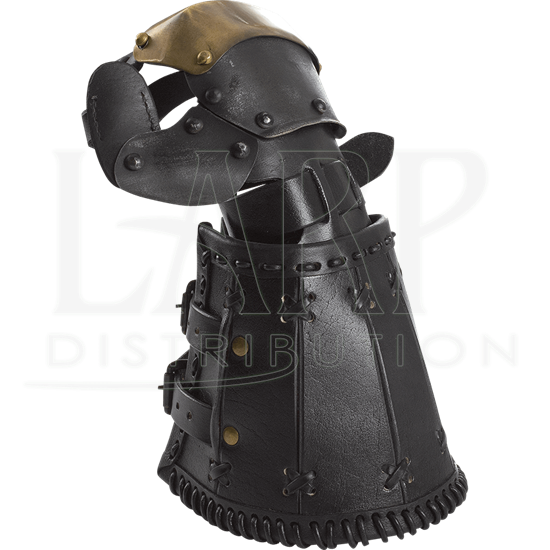 A short vambrace attaches to the hand plates with a thick piece of leather, protecting the wrist up the forearm. The back of the hand and the thumb are protected with overlapping steel plates fitted onto a leather foundation. The gauntlet is secured with heavy leather straps around the wrist and forearm that keep the armour in place. 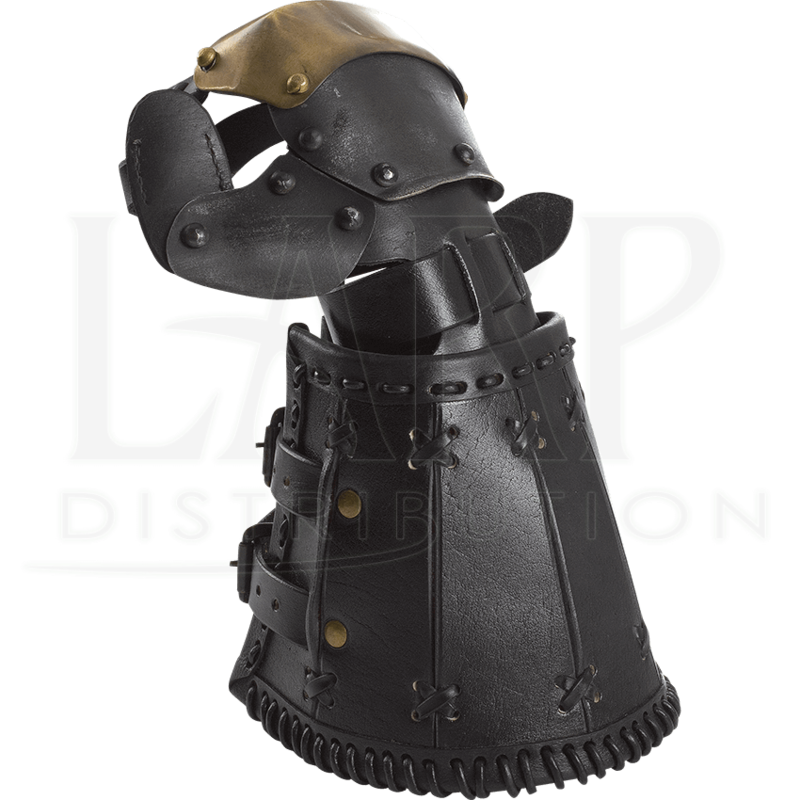 Made of 1 mm thick galvanized mild steel and top-grain leather straps and fittings, this arm armour piece is built to withstand the stress of LARPing or reenactment. The Ratio Gauntlets are licensed ConQuest armour. ConQuest is the biggest LARP gathering in Europe.